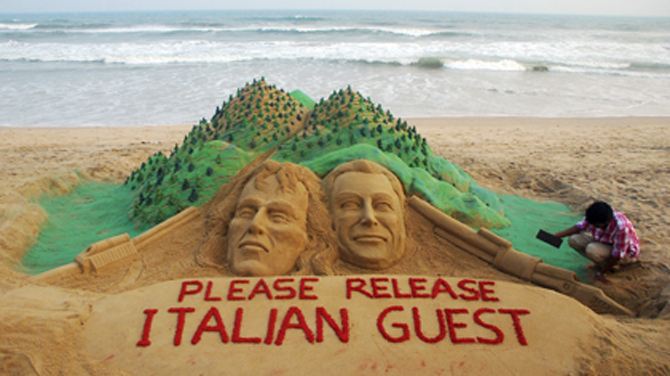 NEW DELHI—Maoist rebels released one of two Italians who were abducted 11 days ago in a remote area of eastern India on Sunday. Italian tourist Claudio Colangelo was handed over to a crew from New Delhi Television (NDTV), a news channel, who trekked to the place where he and Italian tour operator Paolo Bosusco were being held. Colangelo described his experience as “frightening” and told NDTV that he hoped Bosusco would be released soon. The two were abducted on March 14 while on a trek through a densely forested area of Orissa State. Their Indian cook and driver were released the same day. On Saturday the Maoists also abducted a local lawmaker in a separate part of the state. NDTV said its reporters trekked more than 16 hours to meet rebel commander Sabyasachi Panda, who handed over Colangelo. Police in Orissa have said the rebels were probably holding the men in a hideout deep in the jungles of the state's Kandamal District. The rebels have demanded the release of imprisoned comrades and a halt of government operations against them. The government has stopped all security operations in that district.